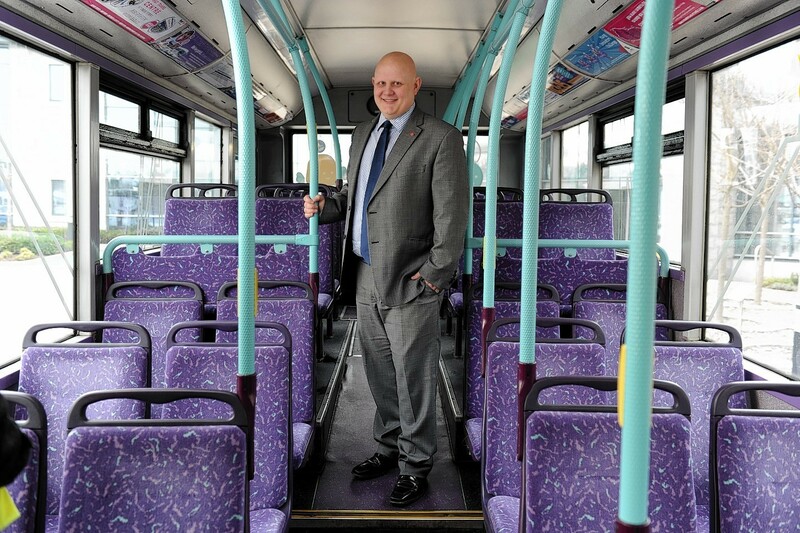 The head of bus operator First Aberdeen has insisted the firm is committed to working with the council to make park and ride services more attractive amid flagging usage figures. The Press and Journal revealed last week that passenger numbers at the Bridge of Don and Kingswells sites have dropped by about 30% over a five-year period. The dip in popularity comes as both Aberdeen City and Aberdeenshire councils are investing heavily in new facilities – with the city signing off an a £10million development in Dyce last month. David Phillips, the new managing director at First Aberdeen, said in an interview yesterday that the company was doing it all it can to encourage people to leave their cars at home. Mr Phillips said: “We are involved with (regional transport body) Nestrans to try and work across the city as a whole, to try and improve journey times, passenger experience and, like them, we share the frustration when things aren’t working. “The X40 (park and ride service) reflects a performance that is probably against the trend in Aberdeen. “We remain committed sit and work with the council to find ways to improve that situation. “Bus journey times have got to be the main driver and it has got to be a realistic alternative to the car. But he pointed out that councils in other areas of the country provide a subsidy for park and ride services – something which does not happen in Aberdeen. He said: “As a business we have limited financial support from council subsidies that way, so we obviously have to make the decision about which is the best use of our resources. 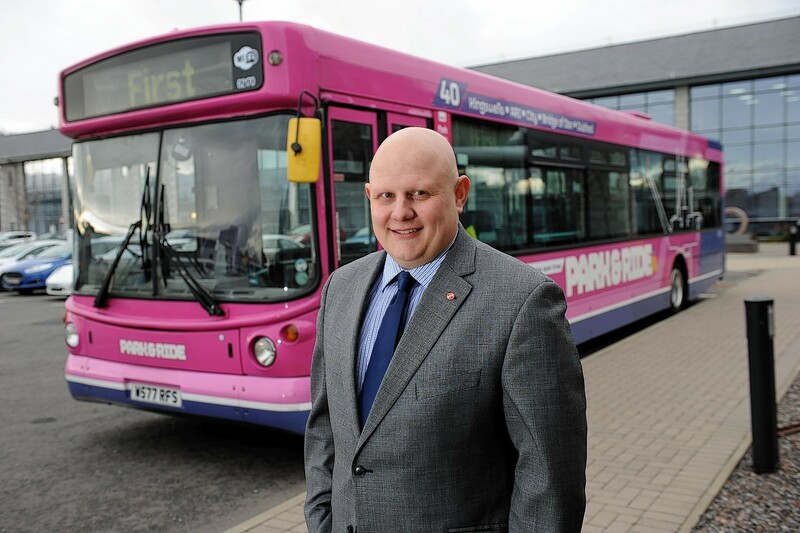 Despite the relatively low use of the park and ride services, however, First has enjoyed success in other areas. Passenger figures on the new “platinum” buses have increased – with a 5% rise in people getting on the 19 service from Culter in the west of the city through the centre and out to Tillydrone. The company has also invested significantly in its fleet, with a £7milllion spend on 49 new vehicles. It is also part of the multimillion-pound hydrogen bus project in Aberdeen, which will establish Europe’s largest fuel-cell fleet.